Want to play Fallout 4 but never got around to it? Good news, it's having a free weekend and a bunch of discounts. It's taking place this weekend, from May 25-28 but there's a catch - it's only free on Xbox (to Live Gold Members) and Steam, with PlayStation only getting discounts if you buy it. The press release says you can get up to 67%, although I'm actually seeing 70% off on the Store right now. During the free window Xbox and Steam will users be able to play all of the base game (so no DLC) and try out mods. There will also be discounts if you decide to play it. As yet there's no timing's on the PlayStation's discount weekend so let's assume it's around those same windows. 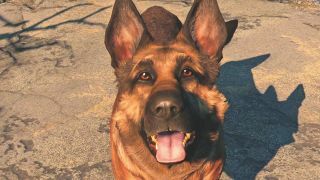 If you want to know why you should play it then here's our Fallout 4 review and a few Fallout 4 tips to help you make the most of the weekend.